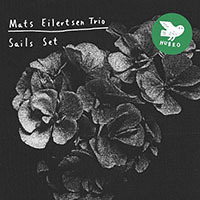 On their first offering for ECM as a trio, And Then Comes The Night, stalwart label mates: bassist/leader/composer Mats Eilertsen, drummer Thomas Strønen, and ethereal pianist Harmen Fraanje deftly create a sustained work of near impossible beauty and sublime human interaction. 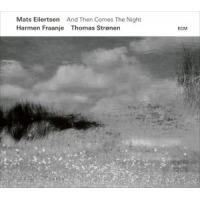 With evanescent shifts of time, shaded harmony and tone, Eilertsenhis nuanced writing highlighted on the acutely hailed Rubicon (ECM, 2016)the bassist boldly strips down from septet to a trio, resulting in a music more expansive, more revelatory upon each successive listen. 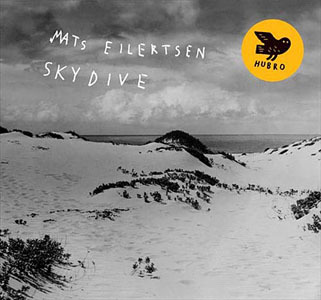 Recorded May 2018 with Manfred EicherECM's heart, soul, and founder at the helm in Lugano, Switzerland's hallowed Auditotio Stelio Molothe trio took eight Eilertsen and two Fraanje compositional sketches and began a luminous excursion into greater emotional depth and understanding. Bookended by the somber, reflective "22" and "22 (var. )," (written in stunned response to the mass killing on the island of Utoya, July 22, 2011), the music in-between flows as one atmospheric whole, with even the track sequencing and spacing conceived to let the music naturally fade, glow, reverb, linger, and emerge. If, as posited, And Then Comes The Night plays as an expressive whole without the usual structural conventions, it appears, on first glance, inappropriate to single out any one passage or, for lack of a better descriptor, song. Yet to fully realize how one mood gives itself over willingly to the next, like the delicacy of clouds changing shape, like love gives itself to the needs of the loved, some examples need to be mentioned. "Sirens," with Strønen's capering cymbals and Eilertsen's resonant thrumming give Fraanje plenty of room for melodic immersion. The brief yet invaluable "After The Rain" is led by Fraanje's innate joy for a child's smile. "Albatross" and "Solace," two of the more group-led shimmering improvs, and "The Void," an older Eilertsen piece given new life, serve as testimonials to the majesty of which we humans are more than capable. Track Listing: 22; Perpetum; Albatross; After The Rain; The Void; Solace; Sirens; Then Comes The Night; Soften; 22 (va.). 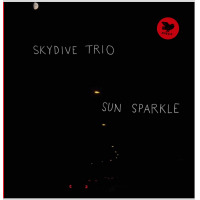 Personnel: Harmen Fraanje: piano; Mats Eilertsen: double bass; Thomas Stronen: drums.